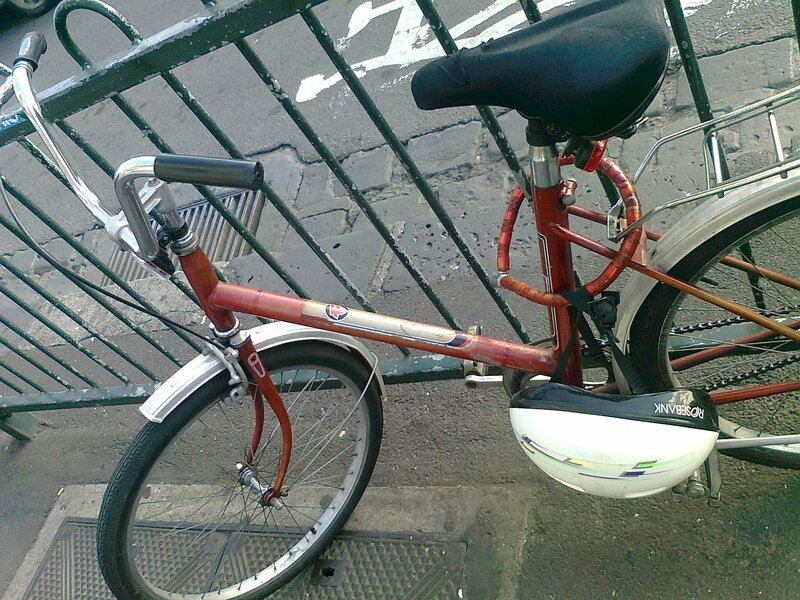 I am chuffed – somehow with my humble mobile phone camera I have managed to make this wonderful little bike look heroic, which it is in a way: it’s made it all the way from Czechoslovakia, survived about 3 decades in pretty fine condition, and has ended up on Brunswick Street, waiting patiently for its rider to return. What a little champion. 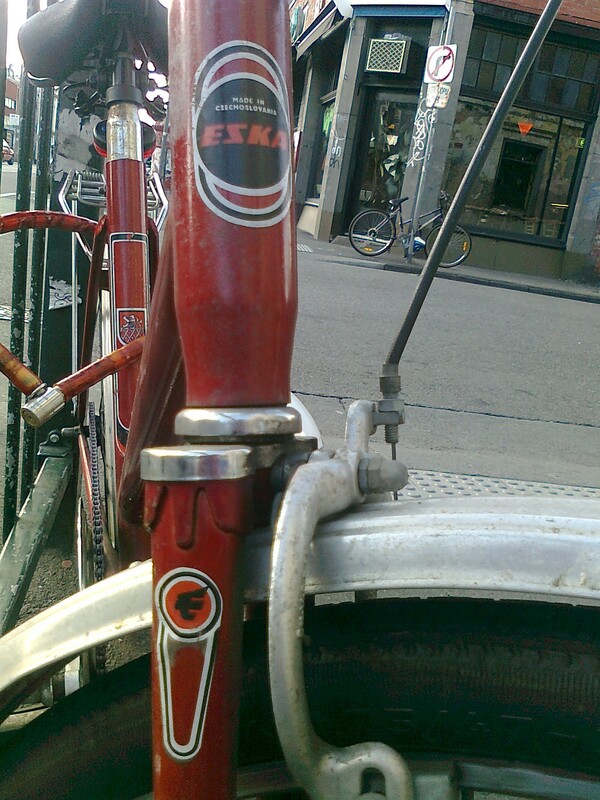 It is an Eska, it has the most perfect logo (you can see it on the fork and below) and that’s all there is to say. This proud little bike can do all the talking for itself. I feel proud. Proud as only a mother can be, watching her child taking her first steps, or leaving for the first day in primary school. 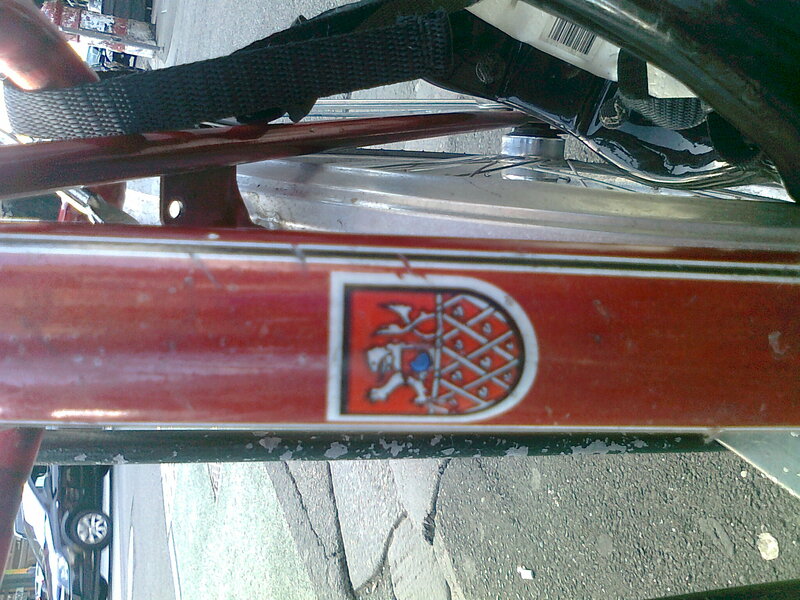 When my little Czechoslovakia was captured by this passion-for-bikes-blogger, mum was working next door, unknowing about “little bike’s” popularity. I cannot other than encourage you for doing this blog. Little Czechoslovakia has a pal. Usually hanging around the area of Veggie Bar – evening time. Just for your information. oh hoorah! So glad it made you glad. 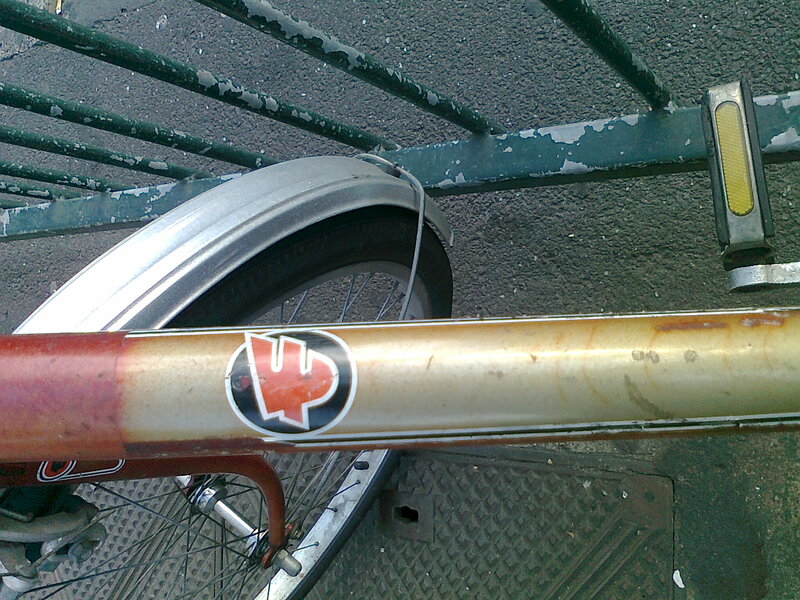 And you should be proud, your bike is a beauty. Would love to know how you came to own it.